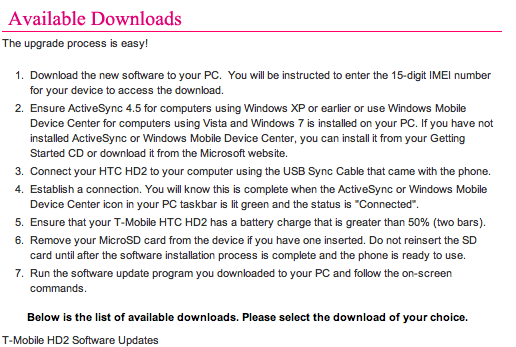 We haven’t received official word yet from T-Mobile, but there is a software update for the HTC HD2 that’s available on their site. TMONews was informed the update is coming and fixes a number of bugs, one of which causes the device to freeze. This update might be official, but it might not be the final update. Tread carefully if you download Software Version 2.13.531.1.